A few months ago, I made a YouTube video about the history of the Armenian Wheel of Eternity. 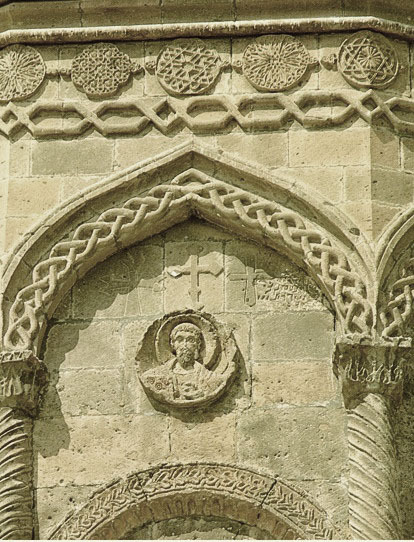 Maybe the most iconic among many ancient Armenian symbols. As expected people started to ask questions and post comments. 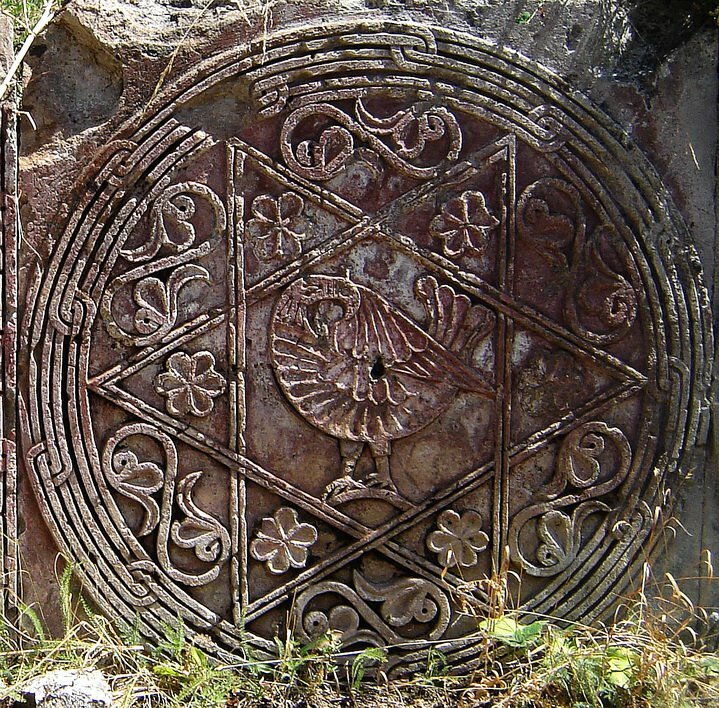 Among the commentators a keen observer noticed that in some cases Armenians depicted the Wheel of Eternity inside a six pointed star. Because of the many questions I received since, I’ve decided to finally grant this symbol attention in a manner of a blog post. 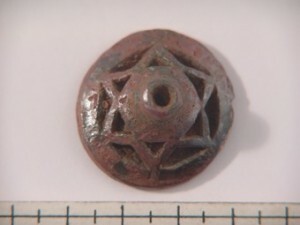 Most people today associate the six pointed star (hexagram) with the Jewish Star of David (Magen David), as it is the modern symbol of Jewish identity and Judaism. In 1948 it was even adopted on the official flag of Israel. 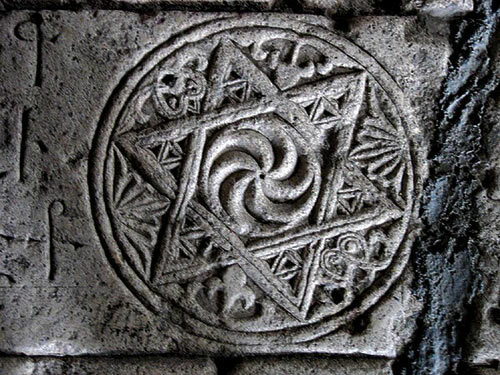 According to Wikipedia: “Its use as a symbol of the Jewish community dates to the 17th century.” However, like many other aspects of Armenian culture, not much has been written about the Armenian usage of the hexagram. Even though its usage in science, art, architecture, decorations and even for religious purposes has been extensive throughout the history. 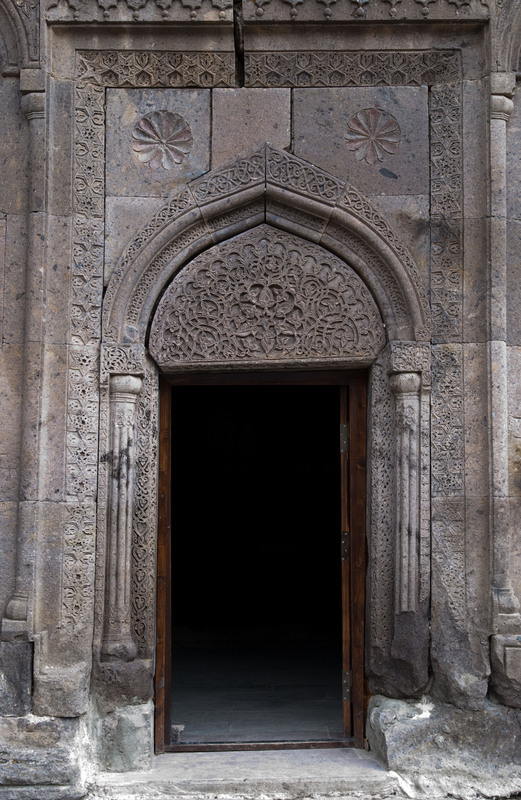 Historically Armenians are skilled mathematicians, architects and craftsman. 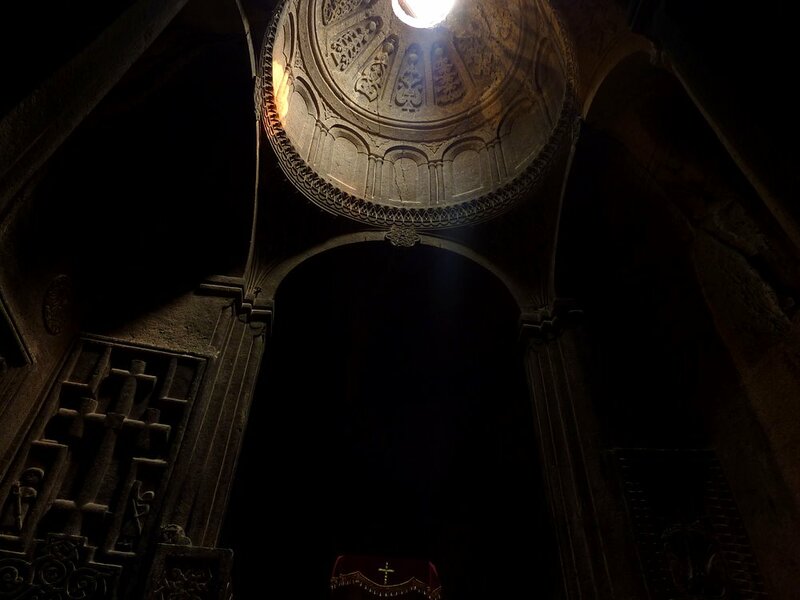 As such geometry has always been very special to the Armenians. 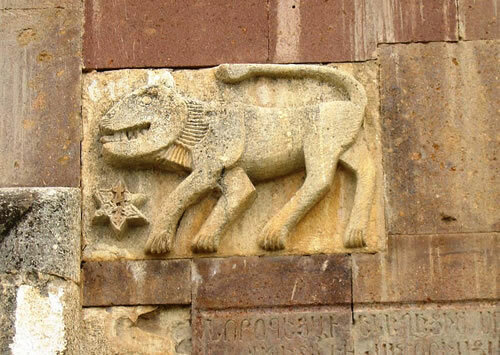 The ancient Armenians had a refined knowledge of astronomy and were able to predict astral events. 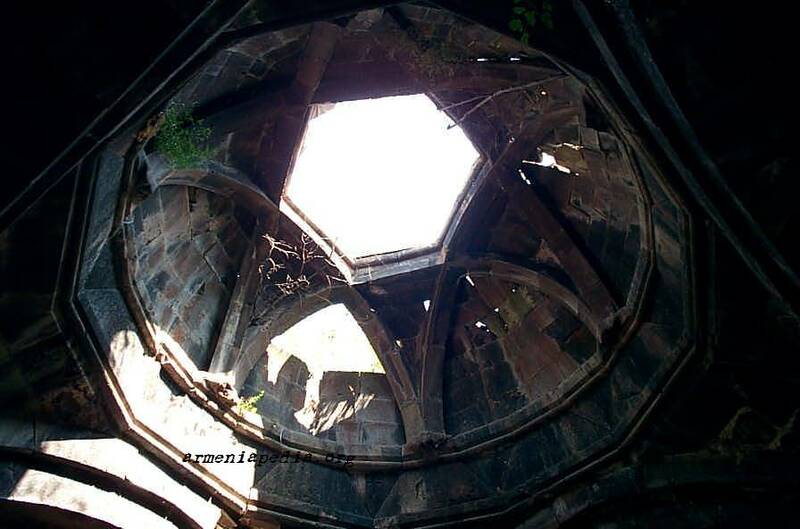 The oldest known observatories are located in Armenia. Dated as early as 4200 BCE, Karahunj and the ca. 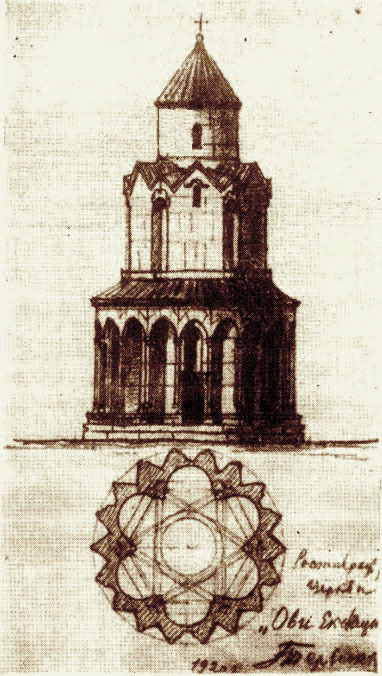 2800 BCE observatory at Metsamor allowed Ancestral Armenians to develop geometry to such a level they could measure distances, latitudes and longitudes, envision the world as round, and were predicting solar and lunar eclipses about 1000 years before the Egyptians began doing the same. 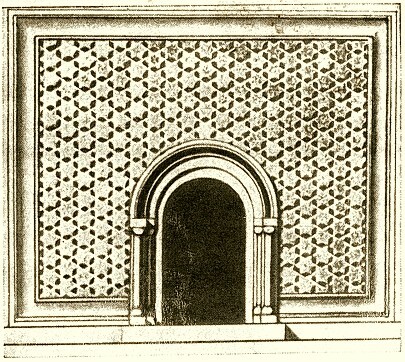 Armenian architecture is often geometrically sound with straight lines connecting columns and mathematical precision. 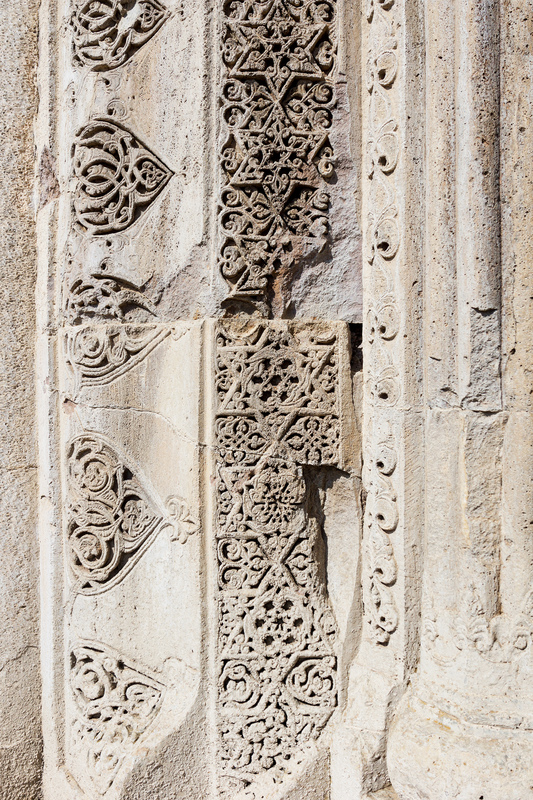 The geometry of the Armenian architecture has stood the test of time by preserving many ancient buildings in a region dominated by war, poverty and natural disasters. The fortress cities and temples that have been excavated in Armenia (some going back as far as 7000 years) show a remarkable awareness of using geometry in constructing sacred buildings, using a complex system of squares, rectangles, circles, polygons with intersecting patterns. Geometry emerges from the study of natural laws. With such knowledge one can build structures, create devices and predict astral events. 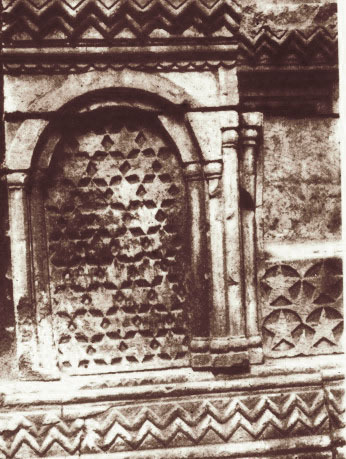 As such geometrical shapes have been considered magical by the ancients. 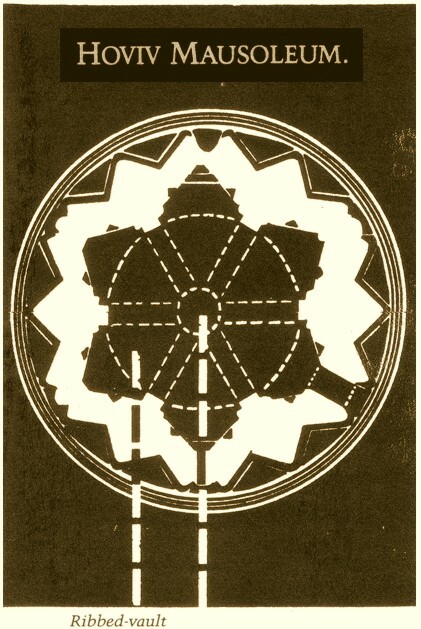 For without geometry, you cannot build anything, and its knowledge was the key to survival, and believed to be a key to unlocking the secrets of the universe. 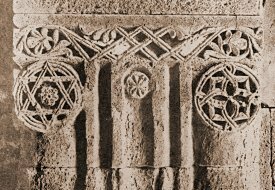 This love for creation/construction has enabled the early Armenians to value geometrical shapes and symbols giving them a prominent place in the Armenian Culture. 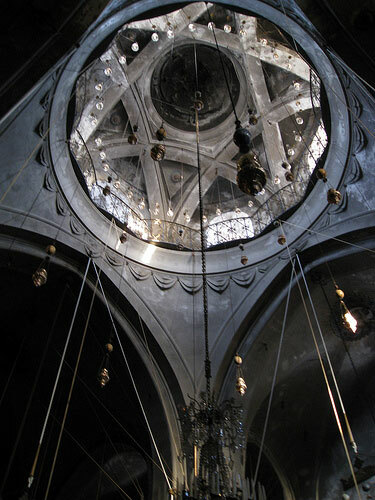 Among many symbols Armenians used the six pointed star for architectural purposes. 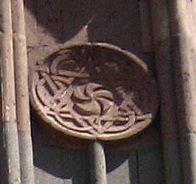 Early Armenians believed the symbol to hold magical powers and incorporated it in architecture, astronomy and sacred art. 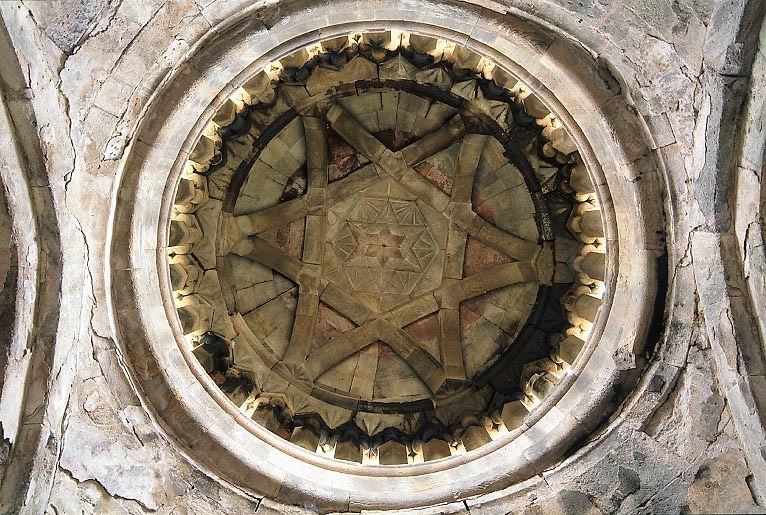 Attesting to that are the numerous Armenian churches that are constructed in the shape of a six pointed star, the usage of hexagrams to support the dome or simply as sacred decoration protecting the Church like magic charms. 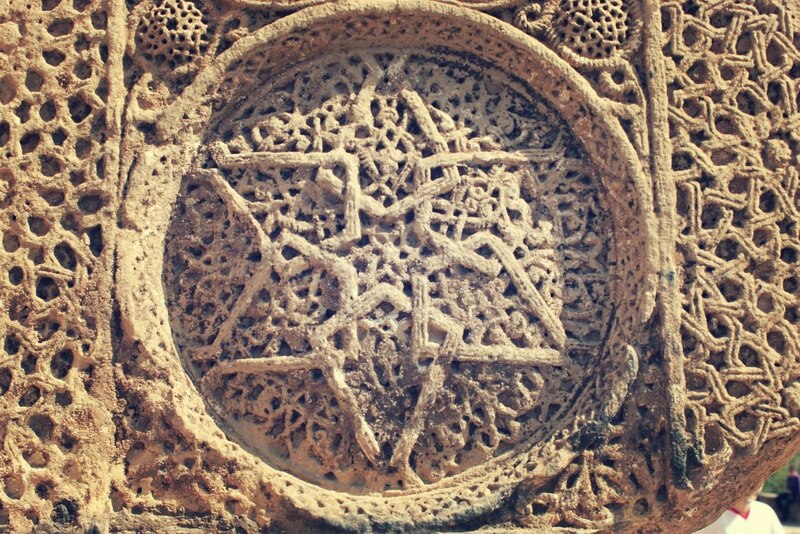 That the Armenians are acquainted with this symbol from the times immemorial became once again clear when the oldest known depiction of a six pointed star (dating back to the 3rd millennium BC.) was excavated in the Ashtarak burial mound in “Nerkin Naver” (in Armenia). This was confirmed by a series of radiocarbon analysis of artifacts, conducted in laboratories in Germany and the USA. The handle of a dagger depicts the worlds earliest decoration of a six-pointed star buried in a burial mound containing over 500 graves. 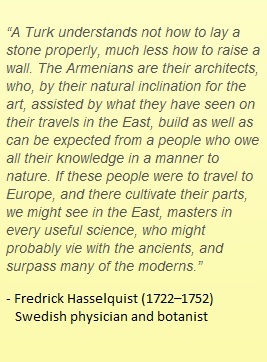 As people who love to build and create Armenians have always valued science. 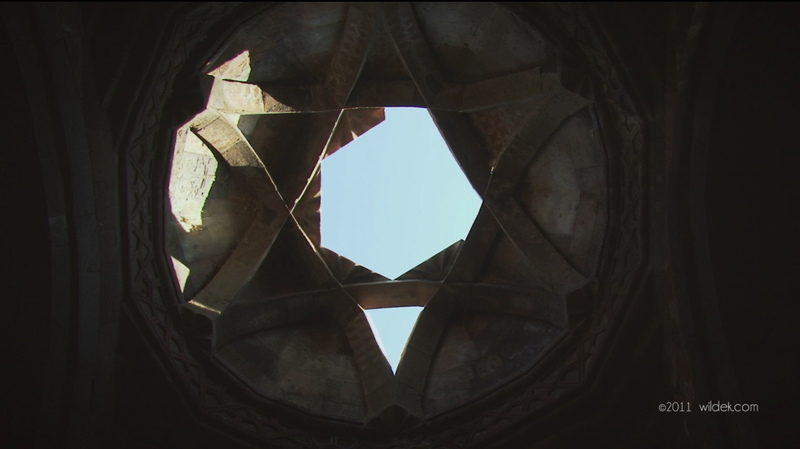 Geometry in particular has a long history in Armenian arts, religion as well as sciences. 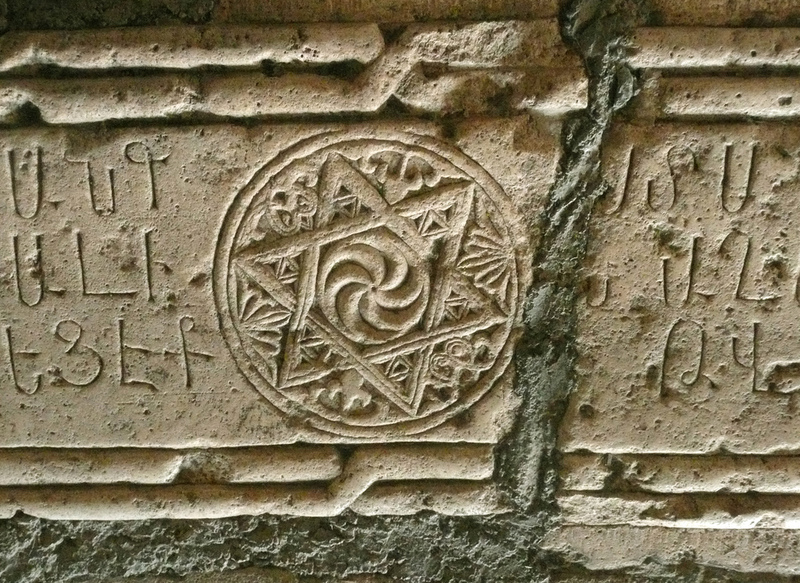 While the usage of hexagrams (as I have demonstrated) has been significant throughout the course of Armenian history, there exist many other geometrical shapes and symbols prominent in Armenian culture. 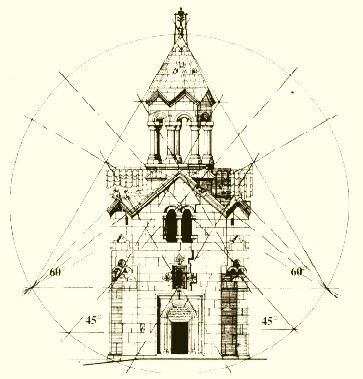 Geometry is after all bound to Armenian culture. 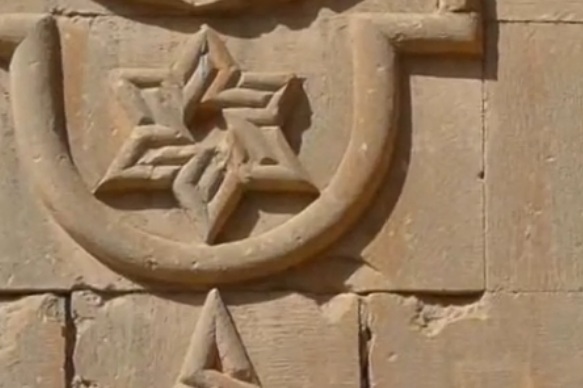 The (eight pointed) Armenian Star for example deserves it’s own entry and will be covered next time around. In closing the following are a few more examples of hexagram usage in ancient Armenia. 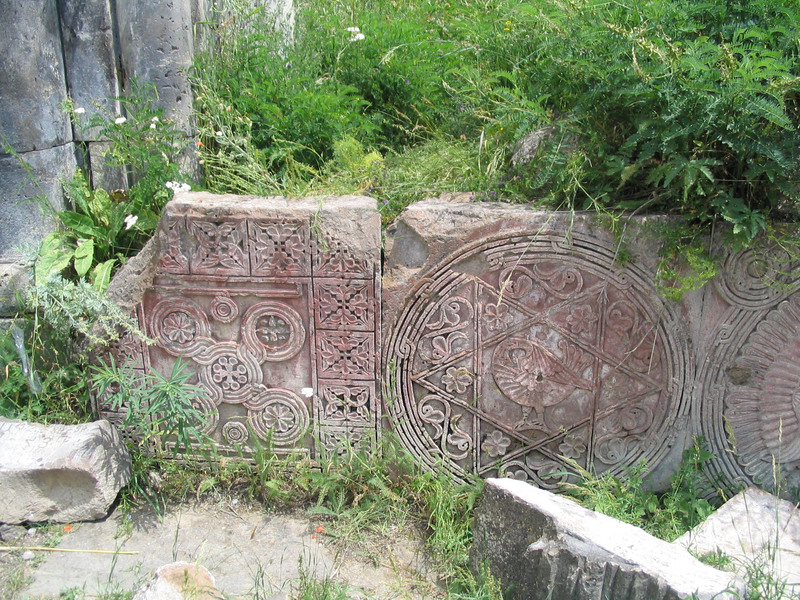 Harichavank Monastery decoration, 7th c AD, Armenia. 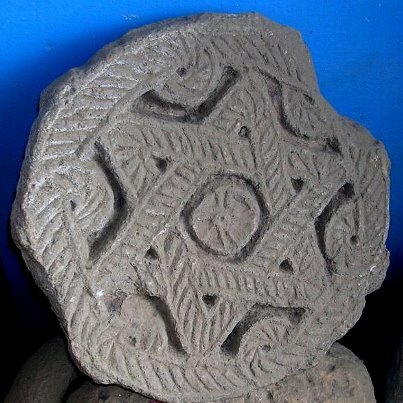 Check this out, an ancient Armenian cross with a Star of David on the bottom! Trying to find way to contact you. So far it doesn’t work. I need to discuss topic on Amazons. I was reading last year that the word Amazon was originated from old Armenian word. This information is not there anymore. If you can post anything on this subject or if you may contact me – I’ll be glad to talk about it with you. That is true, the hexagram is used by many ancient cultures. Hindus, Buddhists and even Muslims use it for religious purposes. But the Armenian usage is often neglected (as with many aspects of our culture) even though it’s usage has been quit significant. 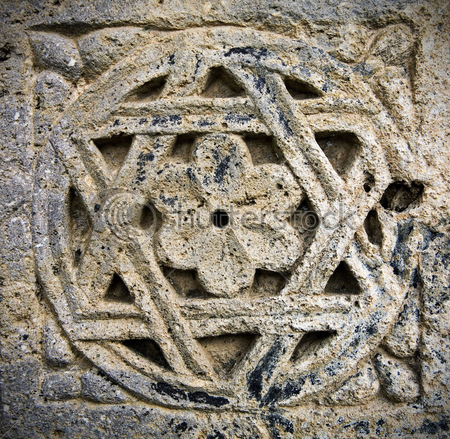 From decoration to religious to architectural, Armenians used many geometric symbols including the hexagram. The head of the dagger btw is from 3000 BC, found in Armenia. 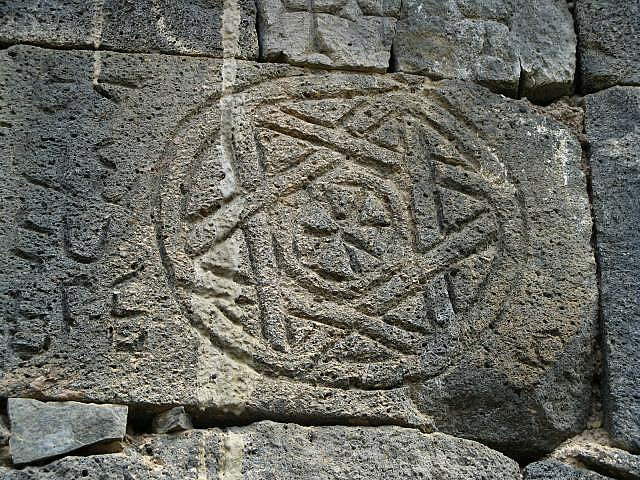 Armenians used many geometric shapes including the 8 pointed star, which is even on the tiara of Tigranes the Great (cq. 95 BC). I think is interesting to see how different cultures use such symbols. 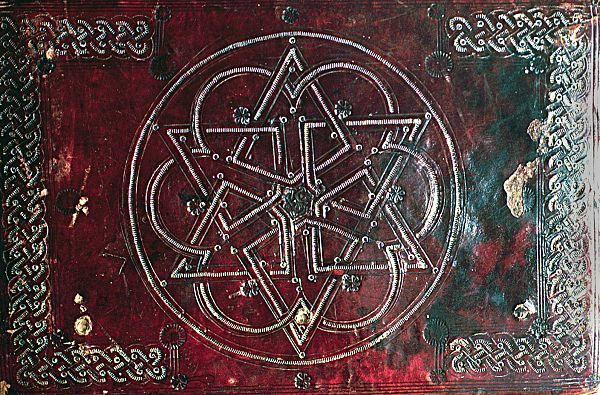 Armenians have been using the hexagram for a long time and we haven’t abandoned the usage, in fact it is still used on Khachkars (magical cross-stones). Old cultures have a lot in common I guess. The first part of the Babylonian name NUHNA is NOAH of the Bible (according to scholars). In Armenian it sounds to be NOAH- PET. In that case NOAH is the First Armenian NAHA PET before Hayk who is descendant of NOAH – NAHAPET. I want to share with you some of my thoughts on the names of this story of Flood. 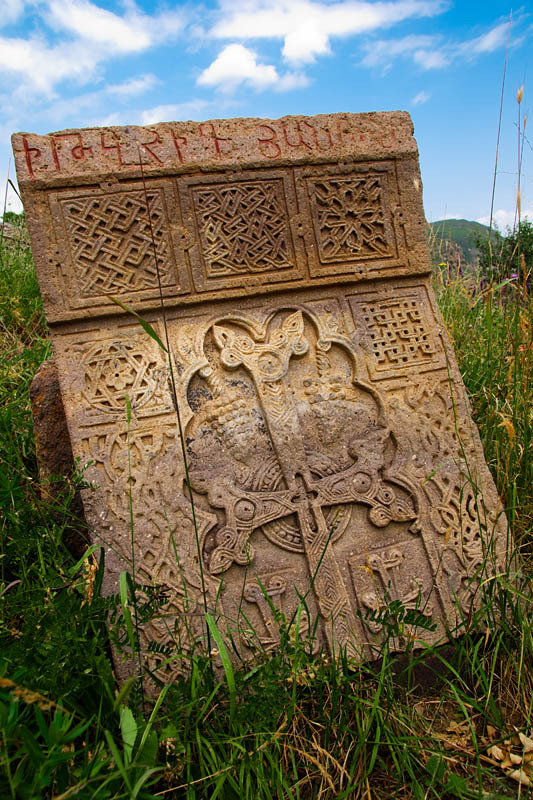 Pay attention to the name of Armenian (Urartian) king ARGISHTI. A lot more interpretations and thoughts can be brought up, but here I am giving simple basic understandings based on my Armenian interpretation of these names/words, because it shows that the Biblical Flood version is Armenian. It is not Egyptian or Babylonian but Armenian. I feel very happy that we have at least one of our Pre Christian Stories saved by the Bible from distraction. Bible clearly says that Mountain Ararat is in Armenia and Armenians have kingdom that Bible says ‘ARARAT KINGDOM” and NOAH’s ark landed there. It is in the scriptures and it is from The GOD. Rubik, where did they found his grave? Assadour, I have posted this before , fortunately I preserved it. To summarize the results of our explorations in Armenia, it can be said that very good candidates for the locations of the burials of three men (plus their wives) have been identified in Armenia: (1) Noah and his wife in the burial mound on the inside of Lake Qare at the 9,000-foot level of Mount Aragatz, one hour’s drive north of Yerevan; (2) Shem and his wife in the grave at the center of the megalithic field of Zorats Qarer, three hour’s drive south of Yerevan; and (3) Japheth and his wife on the promontory overlooking the valley where the Tatev Monastery is located, six hours drive south of Yerevan. Other visits to the area are expected to expand and refine the results of this research. William H. Shea (MD, Loma Linda University; Ph.D., University of Michigan) served as medical missionary, seminary professor, and associate director of the Biblical Research Institute of the General Conference of Seventh-day Adventists. Although retired, he continues to lecture, travel, and write as a specialist in ancient languages. His email address: Shea56080@aol.com. “RA” in Hebrew means “Evil”. ARA is GOD’s name since NOAH. All other nation took it from Armenians. It is NOT of “foreign origin” for Armenians and for Armenia. “RA” is Sumeran, it means “to emit”. With “RA” the “RA IL” is meant, this is Allah. I love you posts, my entire family and I are getting one of the ancient Armenian symbols that resonates so much with us, tattooed on our bodies. I want to know where I can find some symbolism and architecture of the Artaxiad dynasty. Hmm interesting question. Well the most famous Artaxiad symbol would probably be the flag and the coat of arms of Artaxiad dynasty found on Tigresses coins, but you are probably well aware of those. http://www.cngcoins.com/photos/enlarged/81000565.jpg http://upload.wikimedia.org/wikipedia/commons/thumb/7/77/Artaxiad.svg/800px-Artaxiad.svg.png I’ll ask around to see if we can uncover more iconic Artaxiad images. I am actually thankful to the holder of this website who has shared this enormous piece of writing at here. I wish all Armenian can learn about there past history and who they really were. ABSOLUTELY !!!! i think armenians deserve to know, learn and grow once again, but this time, we also learn to not get it taken from us, that seems to be out weakness. POLITICS ultimately is the strongest !